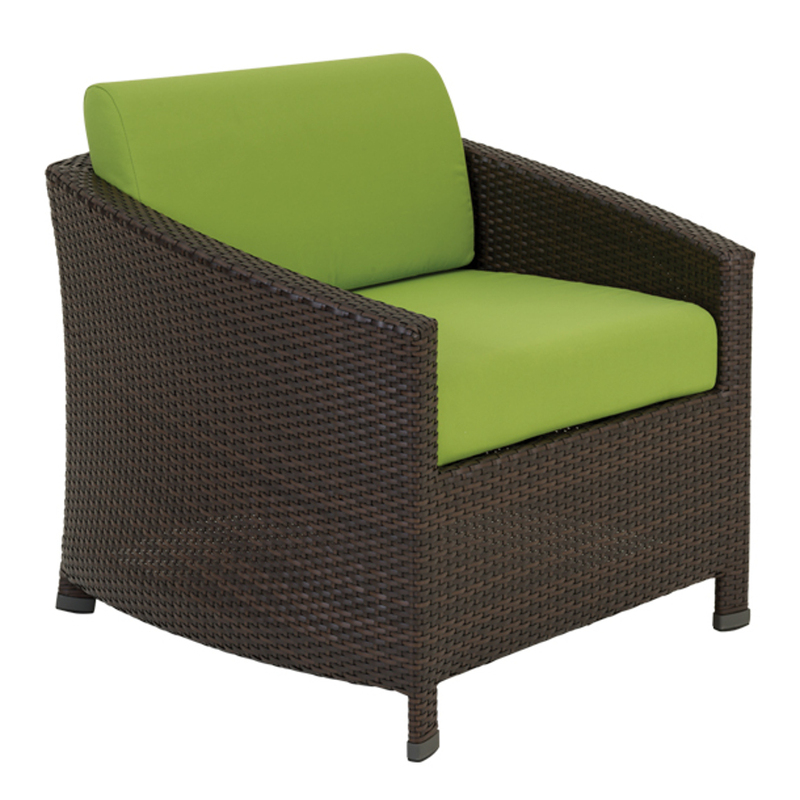 The Woven Lounge Chair from Tropitone's Vela Collection. Vela, (to sail), is a contemporary woven seating collection consisting of a lounge chair, ottoman, dining chair, bar stool, and chaise lounge. Available in the Strand Synthetic Weave, which is weather-resistant and available in three colors. The beautiful Vela Woven Collection will have you sailing away to an outdoor wonderland.